For the last seven years the Greek economy has been entrapped in a dramatic crisis in depth, intensity and duration. The scale of the disruption the crisis has left behind is exceptional in the economic history of the country and is clearly visible in every aspect of the economic, social and political life. The very architecture of the macroeconomic adjustment programmes implemented in Greece since 2010 is incompatible with the country’s consumption-led growth model. Thus, any attempt to address Greece’s sovereign debt crisis and lacking competitiveness by means of a frontloaded mix of fiscal discipline and internal devaluation is destined to fail, aggravating the country’s financial instability, productive deficiencies and social distress. 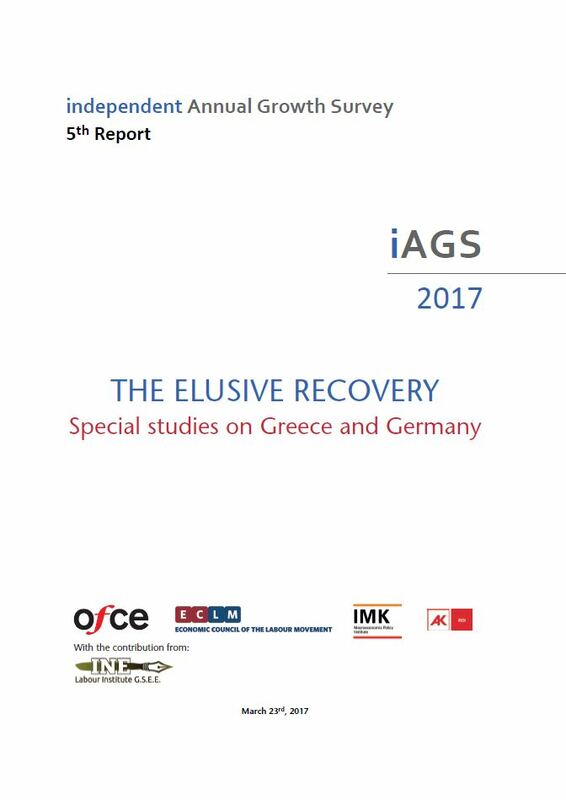 The aim of this survey is to present and critically evaluate the consequences of the creditors’ crisis resolution strategy and to propose the basic pillars of an alternative economic policy that could help Greece exit the crisis. Άρθρο του Επιστημονικού Δ/ντή του ΙΝΕ ΓΣΕΕ Γιώργου Αργείτη: Η παγίδα χρέους και Λιτότητας των Δανειστών στην Ελλάδα. Εισήγηση του Γ. Αργείτη, Επιστημονικού Δ/ντή ΙΝΕ ΓΣΕΕ στο συνέδριο που διοργάνωσε το Γραφείο Προϋπολογισμού του Κράτους στη Βουλή με θέμα «Κρίση – Μεταρρυθμίσεις – Ανάπτυξη» στις 27 και 28 Μαρτίου 2017.